Have you found an online vendor selling Sugar Island Coconut? Enjoyed a bottle of Sugar Island Coconut rum with my friend at the conclusion of a 5,000 mile road trip across 18 States. Unique bottle and label design for sure. Overly sweet artificial coconut smell is not too pleasant. Unfortunately the taste test reveals way too sweet profile, and no burn at the end at all. Does not mix well either. THIS IS SWEET. Wow it's like simple syrup, a little coconut, and some alcohol. Very sweet and mild. This is, by far, the BEST coconut rum I've ever had. Comparing to: Blue Chair Bay, Malibu, Parrot Bay, Cruzan, Siesta Key (local Florida) and a few others. It is best mixed either with a diet coke or juices. The folks who dislike it because of the sweetness is fine, but I think it's the reason why I like it so much. Absolutely the rum of choice for mixers Can't go wrong. Blows Malibu out of the water! Love the smell, reminds me of tanning oil and the beach. It's absolutely the best coconut rum around! Extremely hard to find though, I first tried it at an eclectic bar and was told I could find it at a chain store... Wrong! Had to look up the website to find local retailers and even then it's hit and miss. They may carry the spiced and not the coconut rum. I now stay well stocked in Sugar Island and it's FABULOUS in Rootbeer!!! ; ) Only negative is that it's not a very high proof of alcohol. When you fire up the blender to make a smoothie, add 2 shots of this to your fruit slushy, it's what this rum was made for. The aroma in the bottle is obviously coconut but it's not an overwhelming coconut aroma. That appeared promising. Very sugary and syrupy. Borderline syrup to use as an additive rather than a coconut flavored rum. The label says it's 42 proof but tastes weaker than that. Drinking it straight leaves a weird, funky taste in my mouth once the coconut fades. Sickly sweet. Using this in a rum drink calling for coconut rum might make the drink too sweet. Definitely offset with some bitters or use in a non-sweet mixed cocktail. 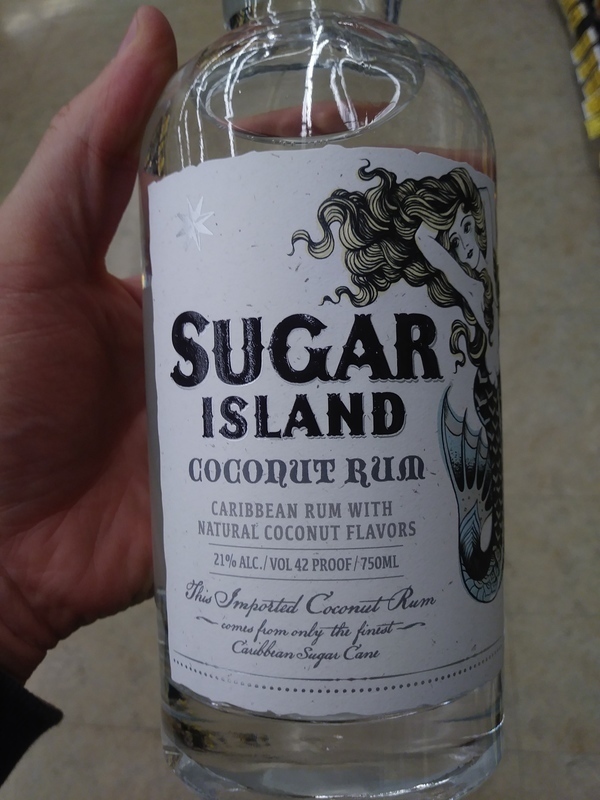 During a stop at Party Source in Bellevue, Kentucky near Cincinnati on my way home to Columbus, OH after Rum Fest, I picked up a mini bottle of this without reading the fine print that included the word, "Coconut." It's very sweet and has a decent conconut flavor that would probably work well in a mixed drink that called for a coconut liquer. It did not taste like rum to me at all but it wasn't bad. I have most of the bottle left so there may be more to come.